Romania’s EU presidency will push to improve the prospect of membership talks for Western Balkan countries Macedonia (FYROM) and Albania, but only after the European elections in May, the country’s European affairs minister told EURACTIV in an interview. 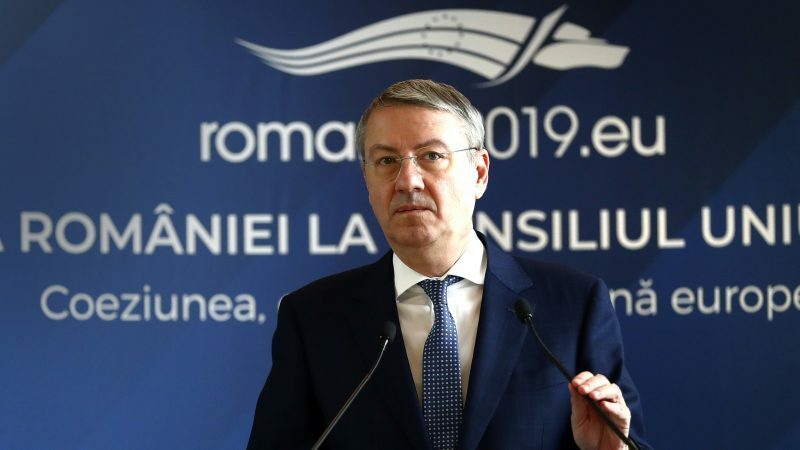 George Ciamba, whose country took over the rotating presidency from Austria on 1 January, also said one of the main tasks of Romania’s six-month stint at the helm would be to reinforce the message of unity of the EU-27 after the UK’s departure from the EU on 29 March. He said the EU’s enlargement, which has barely progressed since Croatia joined in 2013, “is high on our agenda, we are the children of enlargement, we know very much the value of enlargement”. The integration of the Western Balkans were at the centre of the Bulgarian presidency in the first half of 2018, but the issue was less of a priority for the Austrian presidency which succeeded it. The countries to hold the next two presidencies after Romania will be Finland and Croatia. Ciamba praised the so-called Prespa Agreement, a deal reached between Skopje and Athens last June after almost 30 years of dispute over the name of Greece’s northern neighbour, as an “important achievement that should not be wasted”. If the Prespa agreement is endorsed in the Greek parliament on Thursday, the Former Yugoslav Republic of Macedonia will officially change its name to North Macedonia, which should unblock its plans to join the EU and NATO. “We should put our efforts behind the Prespa agreement. It is an important example and could create momentum for other things to be solved in the region,” Ciamba said. Of the six Western Balkan EU hopefuls, only Montenegro and Serbia have opened membership talks, FYROM and Albania are official candidates, but without a date, while Bosnia and Kosovo lag further behind. Turning to his own country, Ciamba said he was confident Romania would handle its EU presidency well and this should boost its chance of joining the EU’s passport-free Schengen area, from which Bucharest and Sofia have been kept out for 11 years. “We are fully convinced that, as we are going to perform, and I am confident that Romania is going to perform as presidency, this is going to have a positive effect on the Schengen issue for Romania, as it did for Bulgaria [which held the presidency in early 2018]. He said Romania was meeting the criteria for joining Schengen, which is also the opinion of the Commission. “We are meeting the criteria, we invested a lot, we are fully aware this is the external border of Europe, it has to be reinforced and strengthened. I don’t see any other issues than what is related to different type of politics in a different type of member states”.